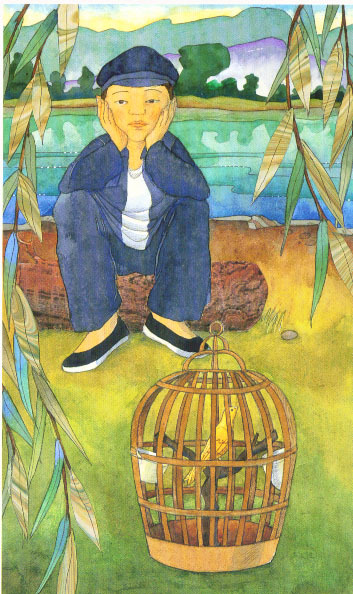 Taro, the Fisherman – illustrating for the education market. This post is a short one about a short, small project that gave me a lot of pleasure to do. What was surprising was that it was a book for the education market, ie: part of a graded reading scheme, working for which I often find fairly challenging. I was approached by Scholastic at the beginning of August to see if I was free to create artwork for a reading book called ‘The Tale of the Fisherman’. It’s a well known traditional Japanese folk tale about a fisherman called Taro Urashima who saves a sea turtle. … and takes Taro to her sea palace under the waters in a giant bubble. Taro is given many wishes; he wishes for gold of course but eventually chooses his home and family over an ocean of riches. It’s a beautiful story and for the most part, I was given free rein over the illustrations. The main instruction was to ‘make them look Japanese’… I found this approach very refreshing as it allowed me to work in a more personal and natural way – using composition, character and technique as I would usually. Very often for educational projects, I am given a super strict brief detailed down to what should be where in each picture. This is understandable as the main role of the illustration is to help children read and understand the words on the page. Creating drama, beauty or narrative pace isn’t a priority. Sometimes the layout has already been drawn out for me page by page by the designer and effectively, I am just being asked to replicate these drawings. It’s a challenge in such cases to find a way to work in my own style, where composition and look are very personal. What excites me in illustration, is the play between flat and decorative areas, stylised pages and interesting viewpoints – not creating a conventional photographic scene. When sketches have been provided at the start of a project, I have to somehow adapt to another person’s visual imagination, even if I know the outcome will look nothing like my usual work. And in this situation, it’s good to understand that the publisher sees the pictures as servants to the words with the ultimate outcome of teaching a child to read. ‘The Tale of the Fisherman’ proved to be very different with text and pictures given equal weight. Perhaps the suggested hint of a ‘Japanese style’ was educational in itself. After quite a few happy weeks swimming in the warm seas of Japanese woodcut inspiration, I hope I created a book that not only teaches using both word and image but is beautiful too. Commissioning illustrators for picture books – a guide. Part 1. I am regularly asked by members of the public if I will illustrate books they have written for them. I thought it would be useful if I wrote about the standard professional process a commission entails and I’m using my latest finished project for Lion Hudson, Seasons of Wonder, as an example. Written by Julia Key, a first time author, it describes in gentle rhyme the wonders of the earth throughout the year. I jumped at the chance to take this project on especially as it gave me plenty of opportunities to draw plants, birds and animals. Prior to starting work, there is usually a back and forth negotiation of contracts: fees, deadlines, copyright, license, art ownership etc. It’s important to get it right so everyone is protected legally – disputes do happen, especially between those with less experience. As contracts are very complicated, I’ll leave them for another time (Part 2?) but I think it’s worth stating that hand illustrating a picture book with a standard number of pages (usually around 32) takes many months and professional fees reflect that. So. Right at the beginning, I am given either the script or a design layout showing where the publisher expects to place images and how they fit with the text. 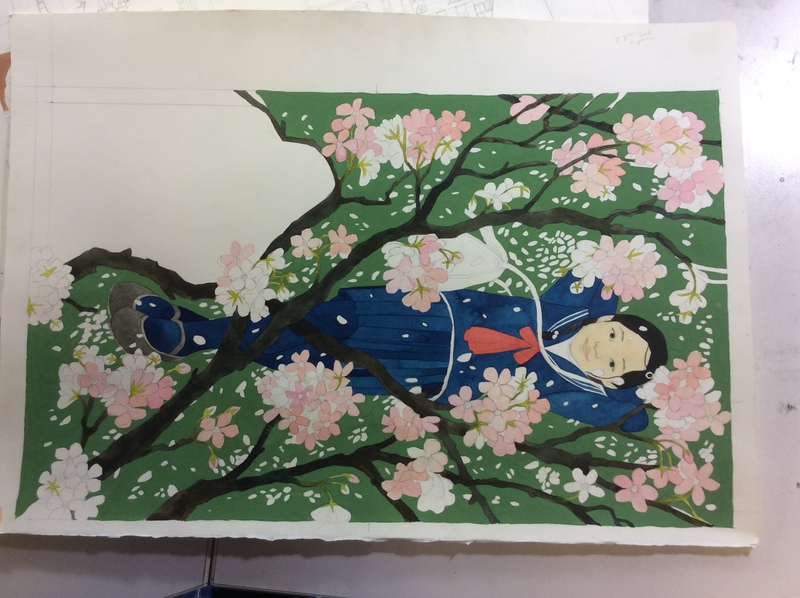 The illustrator can see the extent of the workload and what will be required of them. Some publishers are prescriptive in what they want the illustrations to contain. I prefer to be given free rein and compose the images myself, if I’m honest. It’s what I’ve been trained for. This is what a designer sends to me before I start drawing. You can see that the text has been positioned already. 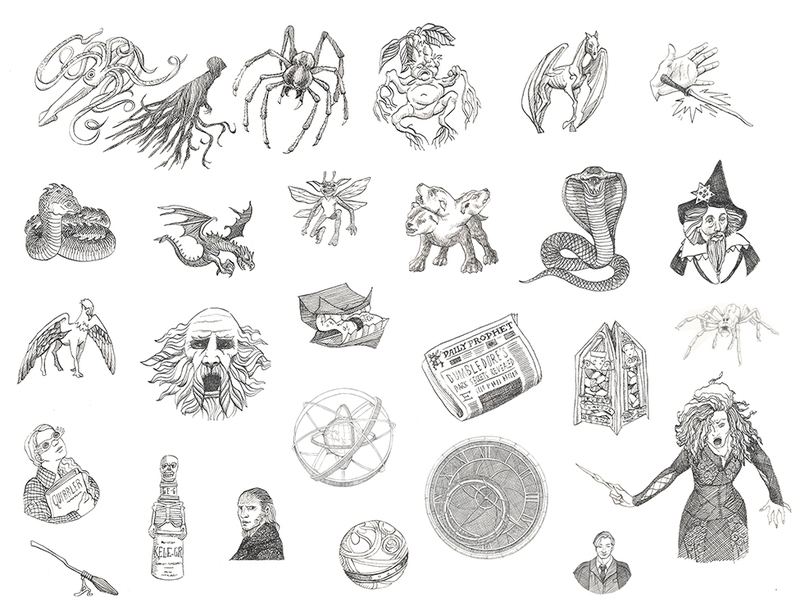 Thumbnails- tiny drawings of the proposed images. Then a thumbnail plan is drawn out for the publishers and author to discuss and make changes if necessary. The plan shows how the illustrations work together with the text and how they flow together in the book as a whole. 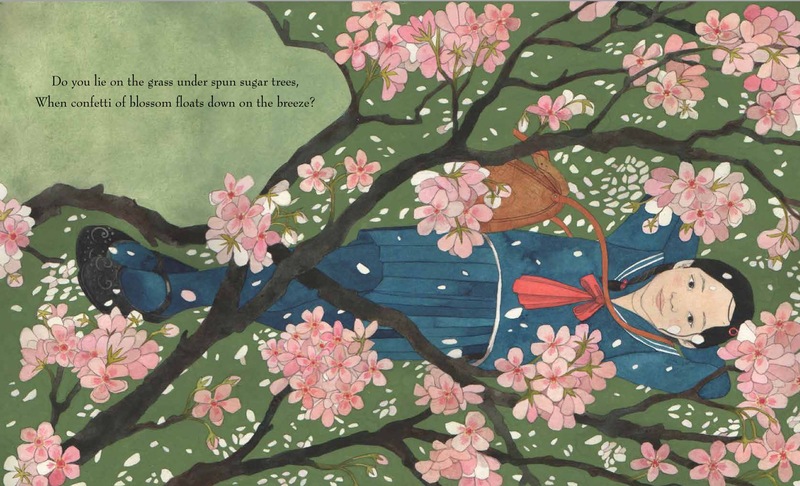 Some picture books have high points of drama and the flow of the book should reflect that with compositions stopping the reader in his tracks at important moments. 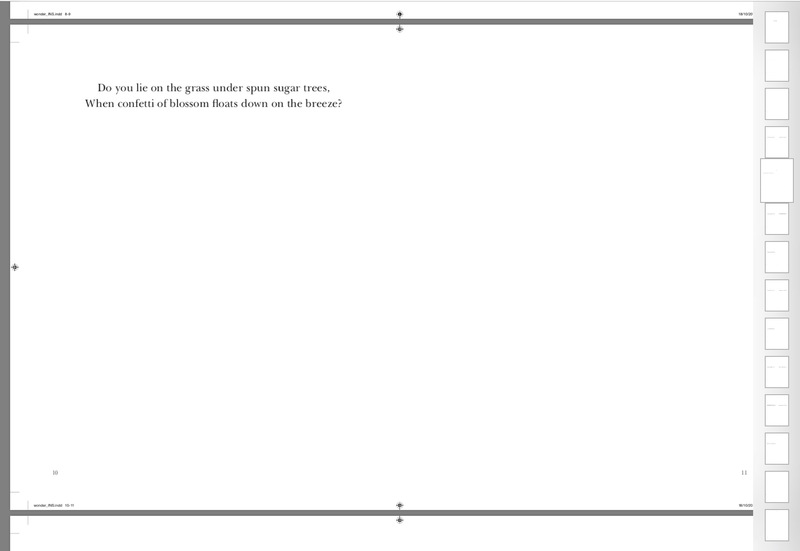 Seasons of Wonder is a poetry book and initial ideas were fairly decorative with a more regular compositional flow. My client, Lion Hudson, decided to give the images an international flavour shifting subtly away from the original intent that was firmly based in the English countryside. Lots of research time was needed and I collected a whole library of visual material to help me illustrate the dawn chorus in rural India, geese flying over a town in Greenland or a small Peruvian child planting seeds for example. Thumbnail plan for Seasons of Wonder. Roughs – full size pencil drawings of the proposed artwork. Using the thumbnails as a guide, rough drawings are made taking into account the designer’s (and in this case, the author’s) wishes. Usually my drawings are fairly accurate and representative of the final artwork although some illustrators provide a literally rough outline without much detail. I use my drawings as the base of my paintings. What you see is what you get. Usually the process of drawing roughs for an entire book takes at least 6 weeks, if not longer, depending on the size of the project. 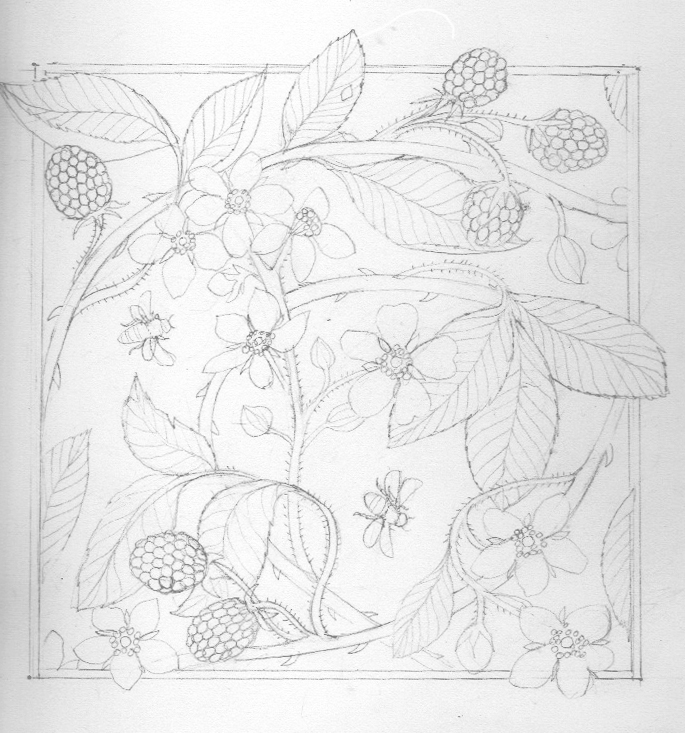 Pencil drawing rough of brambles and bees. The roughs are scanned and emailed to the publisher who gives comments and makes reasonable changes where they feel necessary. If the publisher decides that the illustrator is not right for the project or the work is substandard, it’s possible for him to back out at this point, and usually there is a rejection fee involved for the work completed. If the publisher makes radical changes to illustrations that have been tightly briefed already and the illustrator is required to provide a completely new drawing that is unexpected, the fee should be renegotiated for the extra work. Once any adjustments have been made, the illustrator can hit the paints. Many illustrators use digital tools to add colour but I choose to work by hand. It gives me much more pleasure than sitting in front of a screen although it does take much longer and is a less flexible medium. Again, depending on the size of the book, this process for me is very labour intensive and will usually take a couple of months to complete a standard 32 page full colour picture book. 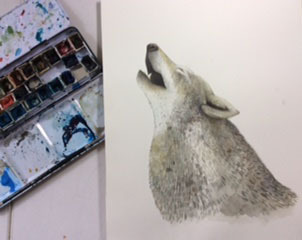 I use a variety of media from watercolour, to inks, to gouache, pencil and collage- whatever I think works best for the image. When I’m done, usually I scan the images and send low resolution pictures to the publisher via email. At this point, small tweaks can be made to the originals – less easy with hand drawn work whereas digital images can be adjusted with the click of a button. There’s generally a clause somewhere in the contract that allows the publisher not to have to pay for artwork they deem substandard but hopefully by this point, it’s not going to happen unless the illustrator has had a total meltdown. Once everyone is happy, I pack my illustrations up and send them off. 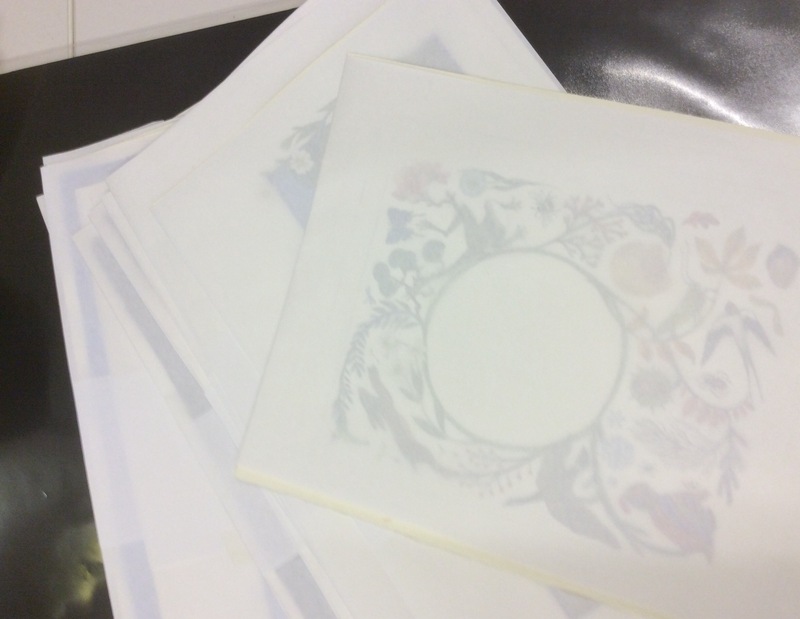 Each image is fragile so I give it a paper cover simply taped to the back meaning that colour won’t rub off so easily or transfer to other pages. I try to remove as many pencil marks and smudges as possible to keep the general package clean. 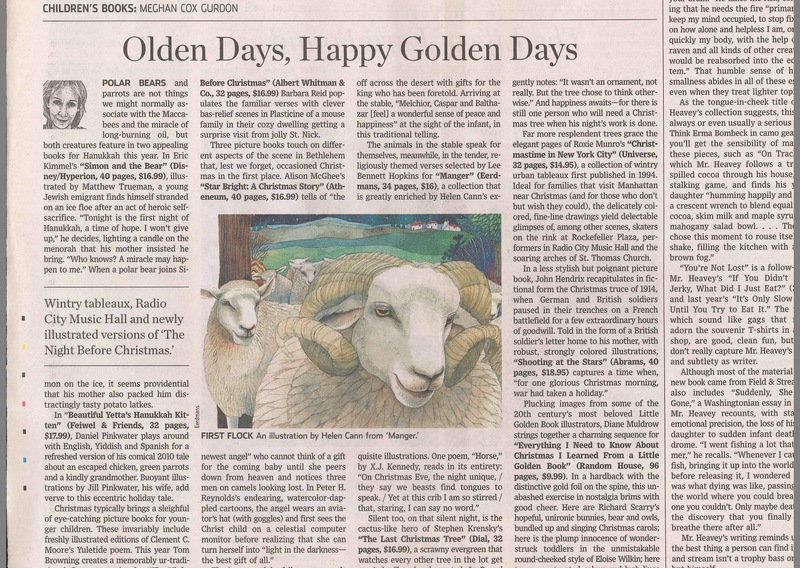 Some publishers are happy for their illustrators to scan the work themselves and send digital files too. Very often, the illustrator is sent a first copy of the book pages before it goes to print. This ensures that the illustrator is happy with how the images have been used (is it upside down for example?) and to check details like colour balance and correct cropping. Decent professional publishers won’t edit or change illustrations without the illustrator’s consent. Then it’s just a matter of waiting for a copy of the book to arrive on your doormat! Seasons of Wonder will be published in September 2017 by Lion Hudson. In the meantime, I’m looking forward to a Spring break! Can you hear the Call of the Wild? 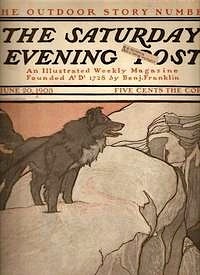 A rip-roaring adventure, perhaps inspired by the author Jack London’s own experiences in the Klondike gold rush, was first published in 1903 as a series of installments in the Saturday Evening Post. I love the use of composition and white space in the illustration below by Charles Livingstone Bull. It found its way into book form a month later becoming an immediate success with ten colour tipped illustrations by Charles Livingstone Bull and Philip R. Goodwin and with a colour frontispiece by Charles Edward Hooper. Since then, it has been translated into 47 languages and made into 3 films. The novel examines ‘the law of the club and the fang’, echoing Darwin’s theory of the survival of the fittest – apparently Jack London had been reading this before he started writing. Only the strong survive and in this book, usually the ‘strong’ are those who are in tune with the wilderness and far from the softness and stupidity of city life. The canine hero, Buck, has to hear the call of the wild and listen to the true heart of the wolf inside. Eventually he triumphs becoming the leader of the wolf pack at the end. ‘Brown Wolf’, the short story set to finish the Miles Kelly edition, also shares this sentiment. Brown Wolf chooses the harsh, wild but honest world of the pack dog, ever loyal to his first owner and rejects the easy life of ready food and country walks that he finds himself in. ‘Call of the Wild’ joins Miles Kelly’s collection of mini classics adapted for children: ‘The Jungle Book’, ‘The Wonderful Wizard of Oz’, ‘The Wind in the Willows’ and ‘Alice’s Adventures in Wonderland’. Each book has the feel of a traditional classic but with a contemporary edge – 25 colour plate illustrations, spreads with illustrated borders throughout, illustrated oval chapter openers and finally full notes about the author, illustrator and themes of the book all presented in a beautiful card slipcase. And each book is called a mini classic for good reason as they are small enough to fit neatly into the size of your hand, despite the weight of their literary credentials. 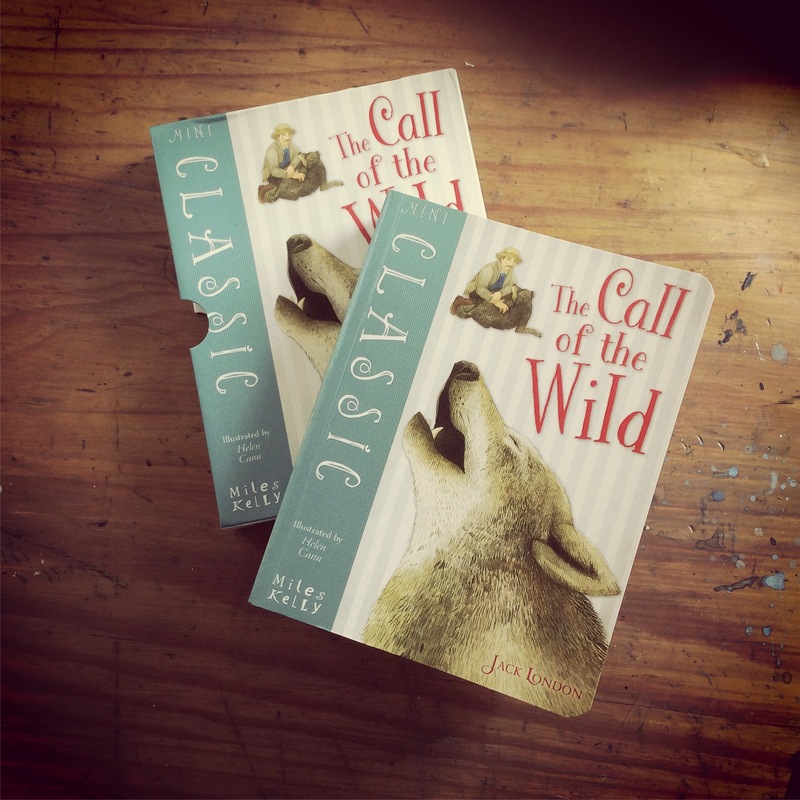 ‘Call of the Wild’ can be bought from all good bookshops! I’m in the middle of illustrating a new book about things that live in gardens; moles, foxes, squirrels, bats and bees. And frogs of course! 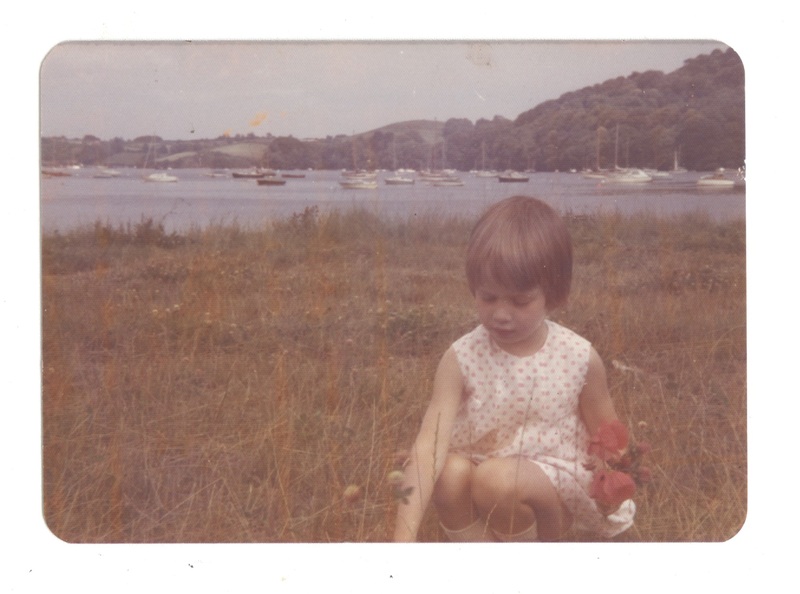 I grew up with a mother passionate about nature and wildlife – tadpoles were always found each spring, nettles were collected each summer morning as food for the peacock butterfly caterpillars and stick insects were forever escaping around the house till my dad complained and banned them for good… I remember as a child standing on the porch in the early morning sunshine with a collection of butterflies sitting on my upstretched palms, shivering their still damp wings, fresh from leaving each chrysalis. Once dry, they would fly off into the brightness. My mum has passed her love on to me and illustrating stories about animals and plants is always something I enjoy. In a world where technology – seen as the direct antithesis to nature – is necessary for marketing any small business, I created my first Gif this morning! A tiny thing (which perhaps took more time than necessary for the final result) but useful to post on social media and advertise my illustrations. It’s still a bit glitchy and posting in some places makes it look grainy but seems to work fine on my blog. At some point, I’ll spend time on something more extravagant, but in the meantime, my little frog with his cheeky wink will have to do… Sometimes its the small, subtle things that are the most perfect. 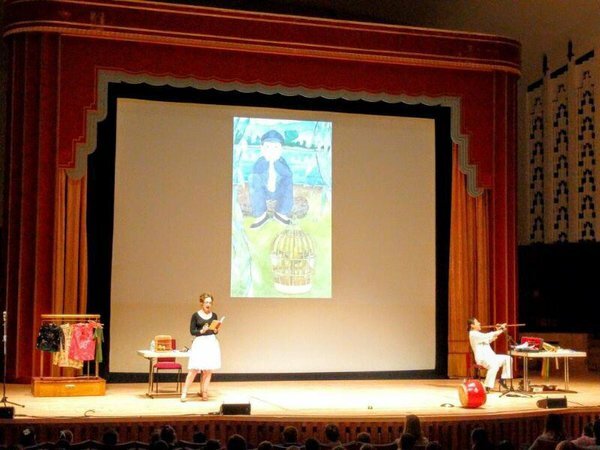 The authors of ‘Little Leap Forward’ have kindly sent me some photos of their performance and reading at Liverpool Philharmonic for The Children’s Bookshow last Tuesday. As you can see, Little Leap Forward is no longer so little and appears huge, loud and proud projected on to the back panel of the beautiful Art Deco stage there. I’m sure the 1,200 children in the audience loved every minute, especially as they all got to go home with a copy of the book itself. Authors, Clare Farrow reading from Little Leap Forward and Guo Yue accompanying her at the Children’s Bookshow. Little Leap Forward and his small yellow bird. Several years ago now, the internationally acclaimed musician Guo Yue and his wife Clare Farrow collaborated to write their award-winning book, Little Leap Forward (Barefoot Books) which I had the pleasure to illustrate. After many awards, a stage show and an inclusion in the 7 Stories list ‘Diverse Voices’ – the top 50 culturally diverse books in the UK since 1950 – the authors are celebrating the novel at the Liverpool Philharmonic on March 22nd 2016. The hour-long performance uses a blend of readings, artefacts and live music to bring the story, based on Yue’s childhood in Beijing at the time of the Cultural Revolution and Mao’s ‘Great Leap Forward’, to life. Marking the 50th anniversary of the Revolution, it’s the wonderful tale of a little boy, a little bird and a little leap forward in understanding the true meaning of freedom. The performance has been organised by the Children’s Bookshow and every child who attends the show will receive a copy of Little Leap Forward. It’s been a while since I last posted – but that’s not to say I haven’t been busy… There’ve been several further books that I’ve been unable to shout about until they were finished (The Call of the Wild – Miles Kelly Publishing) or published (Feathers for Peacock – Wisdom Tales – to be on bookshelves April 2016). Jack London himself travelled to the Yukon, living in tents and working with dog teams. The novel is full of details of the brutality both men and dogs tolerated and it’s clear much was based on real life experience. Jack London and his dogs. I find it strange that I am attracted to tales set in cold places, of snow and ice, of dogs and sleds. This will be the fifth book – the others being the ‘Inuk Quartet’ and ‘Fireside Tales’ (Barefoot Books). The author of the Inuk Quartet, Jorn Riel, also lived and studied in the snow but with the Inuits of Greenland. I too, had my own dog sled adventure above the Arctic Circle a few years ago, mushing my team of three through the dim starlit midwinter days in the awesome silence of the snow. Perhaps that is the seed of my fascination. Working on ‘The Call of the Wild’ was pretty challenging. Many of the images depicted dogs fighting, being starved or beaten which meant researching some difficult subjects. I use photographic material researched online to help inform my drawing and there were images I found that I wish I hadn’t had to see. Drawing requires intense observation and I had to stay with those photographs for many hours. Obviously, the photographs or pictures are reference material; to be adapted and used to create something new. I would never simply copy them – they help me understand for example, how muscles work or which direction dog hair lies. Fighting dogs by Frans Snyders. I used this image to help me understand dog anatomy and adapted some of the poses in my own illustration. Of course I loved the historical research, however. Like the ‘Inuk Quartet’, ‘Call of the Wild’ took me to places and times I hadn’t known about and I learnt a lot. Details of clothes, of canvas tents, of harnesses and sleds became my world for a good part of the year. Fittingly, the project ended in the dark days of the British winter – somehow it has felt like one of the gloomiest winters in years. I had been working some long hours and began yearning for some blue skied wilderness of my own – perhaps that was the sound of the call of the wild itself. But days spent hunched over a table with a light box, battling bronchitis and listening to the rain blowing off the sea are over now and an early Spring is on its way. I’ll look forward to seeing the published book out around August when the cold days will be long gone… And perhaps it will inspire others to listen for the call of the wild themselves.